The addition of a ‘brother’ house onto a multi-family property grafted the articulation of extended family relations onto the crafting of an informal weekend retreat. 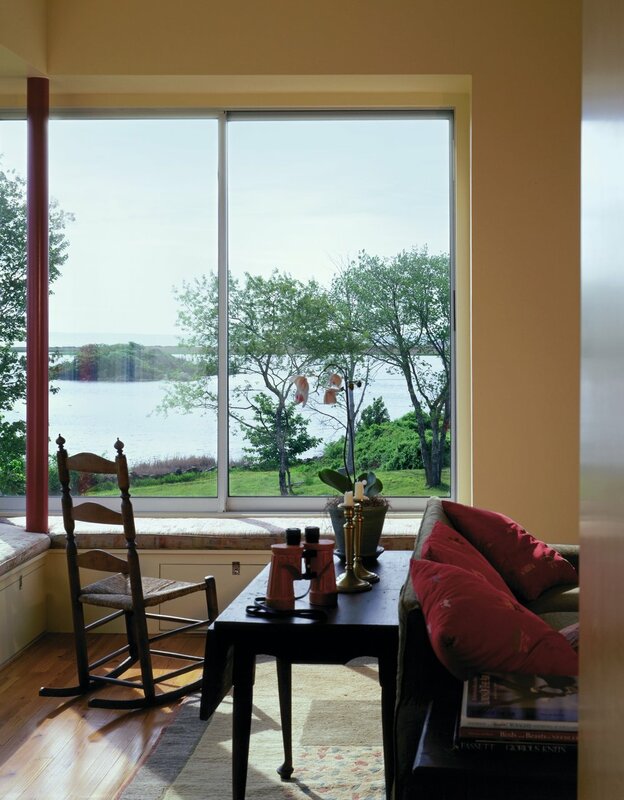 Long home to family gatherings, the site looks out onto a neighboring marshland and seacoast. The parents’ simple existing house could no longer accommodate the next generation. The new house preserves views from the existing house, pulling away into a wooded area of the site. 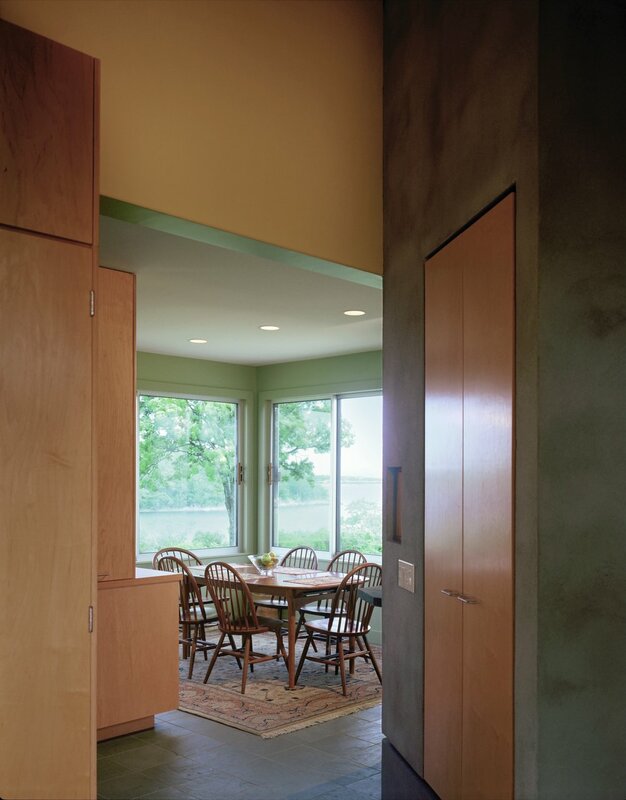 Keeping distance, a hall and entry open towards, and connect, the existing house and landscape. 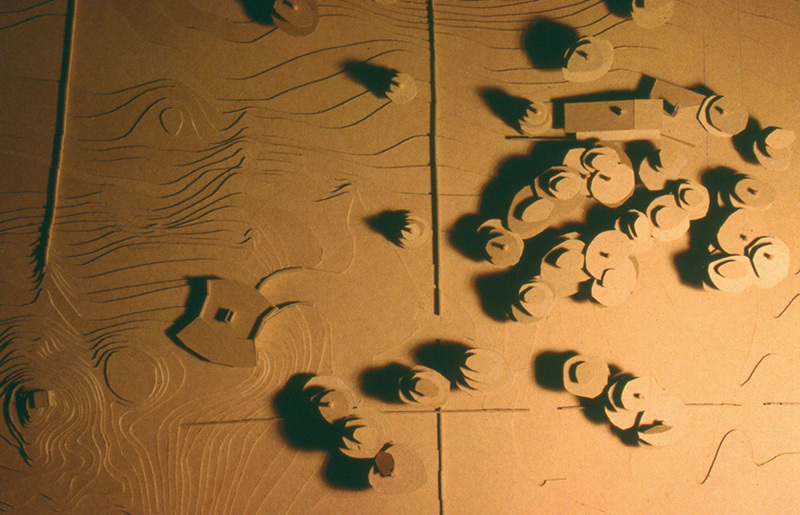 In site, the house responds to movements within the family; in form, it responds to the language of the neighboring uncle’s house. Details are refined and reborn. 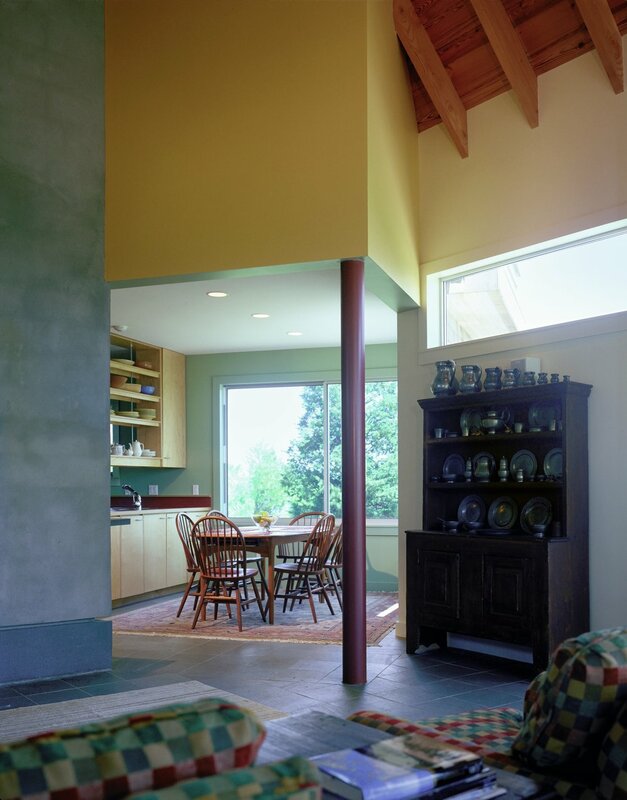 One roof form cites the uncle’s house to the south, enclosing the main living space. Facing east, a series of private spaces frame views of the ocean beyond. Distinguished in detail, orientation and sequence, the new house preserves for the owner, and the extended family, a new sense of place.